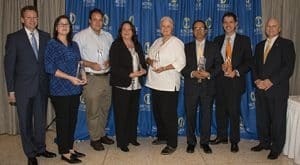 McNeese State University has honored seven past faculty members and administrators with emeritus status for their exemplary service to students, the university and the community. 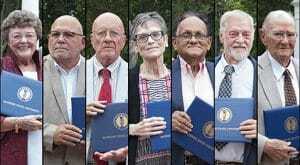 Emeritus titles are awarded to retired faculty and administrators in recognition of distinguished academic careers and professional contributions and those who have served significant portions of their careers at McNeese. Receiving awards were: Dr. Anita Fields-Gold, nursing, and Edward Khoury, enrollment management, Dean Emeritus; and Dr. Robert Cooper, English, Dr. Michael Kurth, economics, Michele Martin, music, Dr. Jay Uppot, engineering, and Dr. Thomas Watson, history, Professor Emeritus.